On Tuesday I was able to see the widely acclaimed movie “Dunkirk”. It tells the story of a major turning point in World War II, before the United States entered the war. After the declaration of war in September 1939 Britain sent the British Expeditionary Force (BEF) to France to help the French fight Germany. The German advance through France was so rapid that the British Army was cornered in the small coastal town of Dunkirk. 338,000 men were about to be captured by the Nazis. Such a catastrophe would have left Great Britain unable to defend itself against the Nazi onslaught on Britain widely expected to follow the fall of France. In turn, if Britain had fallen, Canada, a dominion of the British Empire, would have been under great pressure; the United States would then be next, at the time unprepared to fight a major conflict. It’s hard for people now to realize how victory over Germany was not a foregone conclusion. Even after the US entered the war, the advantage still lay with Germany and its far-eastern ally, Japan. The Germans were a formidable military force. Adolf Hitler only came to power in 1933, but in a little over six years had taken the country from the depths of depression and despair to the height of economic and military power. No country was able to stop Germany’s rapid takeover of Europe. In May of 1940, faced with this incredible threat, the British changed leadership. Winston Churchill came to power. One of his first tasks was to rescue the BEF from Dunkirk. Only 30,000 beleaguered soldiers could be saved by the navy from the beach at Dunkirk. The call went out for ordinary British people to take their boats and their yachts across the Channel to help rescue the others. Over 700 vessels accomplished this heroic task – big men in small boats. They not only had to contend with the advancing German Wehrmacht. They were also risking aerial bombardment by the German Luftwaffe. The evacuation began on 26th May. On the same day, King George VI called for a National Day of Prayer. Photos taken at the time show tens of thousands of people lining up at churches across the country, anxious to pray for their loved ones on the beaches of northern France. The King called on the British people to repent and turn back to God. 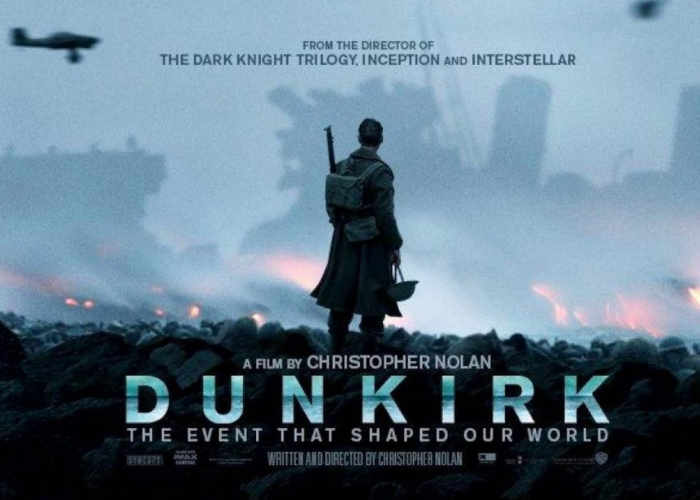 What happened then was truly amazing and was referred to as “the miracle of Dunkirk.” The weather around Dunkirk changed dramatically, making it impossible for the Luftwaffe to continue their deadly attacks on the stranded British soldiers. Following this, the English Channel calmed, enabling the armada of small boats to cross and rescue the men from France. It took a few days to get everybody home. It was to be four years before they were able to go back, attacking Germany on the beaches of Normandy. Then, another year before the final victory, ending the European theater of war on May 8th, 1945. First of all, the movie is a reminder of how quickly the situation in Europe can change and threaten the United Kingdom. Secondly, the movie reminds us of the long history of what Winston Churchill called “the island race,” the Anglo-Saxon-Celtic peoples who have inhabited the British Isles for well over a thousand years. The only criticisms I’ve seen of the movie were in Time Magazine and USA Today. Both lamented the lack of minorities and women in the film. Neither reviewer seemed to realize that non-white immigration into the UK did not begin until after World War 2; and women were not in combat roles until fairly recently. Rather, the men who stood on that beach, waiting to be rescued, were the direct descendants of the people Churchill was talking about. Their ancestors stood up and fought the Spanish to ensure the Protestant Reformation, which gave them and others religious freedom; Churchill’s own ancestor the First Duke of Marlborough led an army against King Louis XIV’s forces; a century later the British defeated Napoleon who also tried to unite Europe forcibly; in the last century, the enemy was the Kaiser before Hitler. Each time it was the British people, fairly secure on their island, who preserved the freedoms of smaller European nations. They are not the same people today. After World War II, immigration from the West Indies, Africa and the Asian sub-continent, transformed the country. More recently, arrivals from other parts of the European Union have entered the UK. Today, well over 50% of the people of London are not of British ethnic descent. Most of these people are highly unlikely to fight for Britain if a similar situation arose to that faced in 1939-45. There is also a third, and deeper, lesson here for the United Kingdom. Christopher Nolan, the producer and director of the movie, deserves acclaim for an outstanding film. But the movie does not even mention the King’s call for a National Day of Prayer on the day the evacuation began. In an irreligious age, this is to be expected. However, it’s an appropriate time to remind the island race of the role religion played in the four centuries of their greatness. After the Protestant Reformation, the country had to act quickly to secure its freedom and independence from Rome. They began building what became the greatest navy in the world. Colonies were established in different parts of the world as they pursued trade. Wherever they went, they established parliamentary government, the rule of law and basic freedoms. All of this came about as a direct consequence of the break from Rome. The British people lost sight of this after World War II. They reversed course in a pursuit of an alternative dream, that of European unification. Instead of pursuing a different course to Rome, they signed the Treaty of Rome and lost themselves in an alien enterprise. Continental Europe has always been more centralized – gradually the British people came under increasing control by unelected bureaucrats in Brussels, together with foreign politicians in Strasbourg and Berlin. At the same time, they lost support from the Commonwealth of Nations that they had built up since the first settlement in Virginia over 400 years ago. An increasingly irreligious people lost sight of their unique place in the world. It was still there at the queen’s coronation in 1953, when she committed herself to enforce the laws of God in her numerous territories. Things did not go according to plan. Faced with catastrophe at Dunkirk, the King rightly called for a National Day of prayer. Apparently, it was not well received amongst the soldiers, who interpreted the call as saying that they were doomed unless God intervened. It’s the same today. The UK has been reduced to a position of weakness in a hostile world. Without a return to the foundations that made Britain great, the country, racked with divisions over Brexit and the future of the United Kingdom itself, and disunited by diversity, is in danger of falling apart or becoming a vassal state of a coming European superpower.